Dental crowns and veneers are among the most common cosmetic dentistry solutions. From chipped to decaying teeth, both would be great in bringing your beautiful smile back. However, the two differ in several ways, which is why choosing between them can be a problem. Crowns are much thicker than veneers. A dentist needs to prepare the whole tooth where the crown will be placed. This is necessary because when the crown is finally cemented, it would be new outer surface of the tooth. This explains why crowns are used to give teeth both a new colour and a new shape. In preparing, the dentist determines how much the tooth needs to be reduced before the crown can be fitted. In this, the tooth’s condition and its location in the mouth come into play. The material being used for the crown (metal, porcelain, or a combination) also affects the amount of reduction needed. The standard is 2 mm or just about one sixteenth of an inch. This considers that most crowns need to be at least 2 mm thick to stay in position long enough while the eroding and grinding goes on within the mouth. Veneers only need to cover the front part of the teeth. Thus, they don’t need to be thick. That’s why most veneers are only about 1 mm in thickness or less. Given this, there is significantly less tooth trimming needed when placing veneers. Reduction is usually done only on the front of the tooth. In some cases, however, trimming would not even be necessary. This is when the dentist finds that the veneers are very thin and wouldn’t cause much discomfort. Pros: Where Does each Procedure Excel? Crowns and veneers have their respective strong points. Crowns re-establish the natural form and function of the tooth. 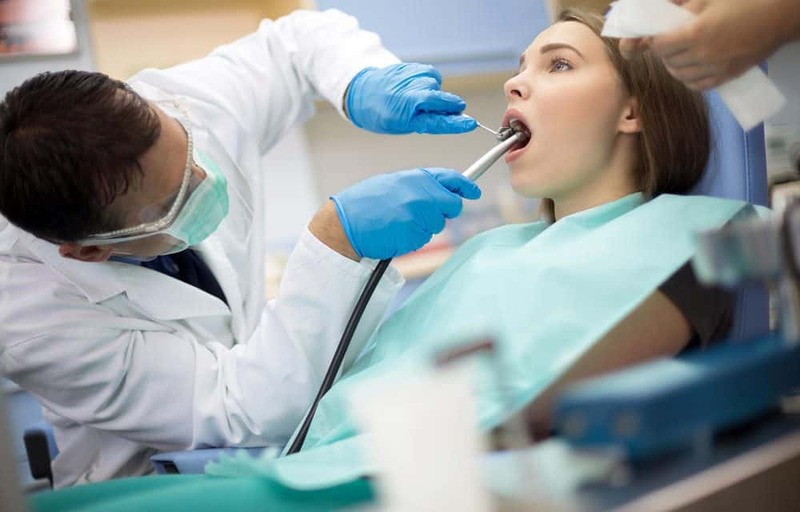 The procedure also greatly improves a damaged tooth’s structure. Crowns also serve as a quick solution if the tooth needs lightening because of deeper staining. These are the best option even though veneers might be the easier choice. Placing a crown is also better for back teeth that wear out from biting and chewing. Are the better option if the tooth (or teeth) in question is exposed to heavy chewing or biting force. Veneers, on the other hand, are best known to be more attractive. In fact, veneers can make your mouth more beautiful than other cosmetic dental treatments. In a single treatment, veneers can correct surface flaws such as cracks and chips. They can also conceal dark tetracycline stains which are impossible to treat with traditional teeth whitening procedures. Veneers can also be used to alter the shape of teeth. You want the tooth to look as natural as possible. You’re only looking for minor shape changes for the tooth. Broken and chipped teeth may need crowns. The teeth aren’t used heavily. Veneers could crack under excessive pressure. You may want to reverse the procedure in the future. This is possible if the tooth was not trimmed prior to placement of the veneer. Both crowns and veneers are also known for serious disadvantages that should be factored in before choosing. The main drawback of crowns is that you can’t reverse the procedure, given the heavy trimming done on the tooth. Simply put, once you start wearing crowns, you’ll always need to wear one. This is where the additional option is provided by veneers. People who wear veneers can resort to dental crowns, but those with a crown cannot go back to veneers. Veneers, for their part, have two major drawbacks. One, they aren’t as decay-proof as crowns. Crowns cover the whole tooth, with its edge sitting below the gums. With veneers, a large portion of the margin sits above or outside the gum line. Plus, three of the four sides of the veneer rest along the sides of the tooth, exposed to bacteria. Second, users of veneers usually complain about an ‘oversized, bulky’ appearance. Veneers, once fixed at the front of the tooth, appear as an extra layering on the tooth, making the tooth appear oversized. Dental crowns and porcelain veneers serve different purposes and each are suitable depending on your needs. Although studies show patients who use crowns are more satisfied with those with veneers, this doesn’t necessarily mean that crowns are always superior to veneers. If anything, veneers are considerably cheaper than dental crowns! Click here to see all our Google reviews. Very gentle, but still does a great removal of calculus & plaque and thorough examination of your teeth! I’ve been using Simply Dental as my dental clinic for two years now, and it’s been great. Professional, smooth, and easy, whether it’s a check up or an appointment. Definitely recommended. The service is very good. Good reminder before appointment time. Very friendly atmosphere. Good staff very welcoming. Also very good dental work. The experience was amazing. Sakshi is very thorough in her methods and truly refines one’s dental experience. Very professional and thorough, Dr Sakshi took her time and made sure everything was pain free and gentle. Dr Sakshi is the best dentist I know – friendly and gentle, her treatments are painless. Her clinic has the latest equipment and she has good knowledge of the latest products and technology. The team here are very professional and friendly. Dr Sakshi provides excellent dental service and explains things thoroughly so that I know what is happening. The clinic is clean and comfortable; overall highly recommended. The team at Simply Dental, Chatswood are really great at what they do. I was a new patient this year, and immediately felt welcome and comfortable. They talked me through everything that needed to be done, and after my first visit I was already feeling great. They also provided advice about what else I could do to improve my dental health. Very professional!